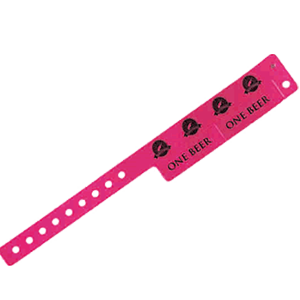 Tab Wristbands offer a facility of easy tear off redemption tabs. The product is available in Vinyl material in 1, 5 or 10 tab layouts. These are the perfect way out to manage the issue of food and drinks. These are almost printed particularly but are also obtainable without printing.